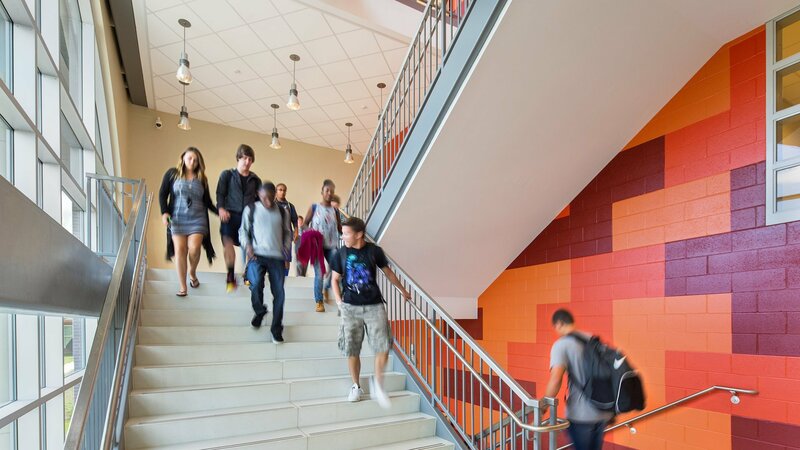 Hord Coplan Macht, in association with local architecture firm ABHA Architects, provided architecture and interior design services for Dover High School, a new high school for the Capital School District in Dover, Delaware. The 280,000 sf project is one of the largest publicly-funded projects in the state’s history. It includes an academic wing, common dining area and a theater. 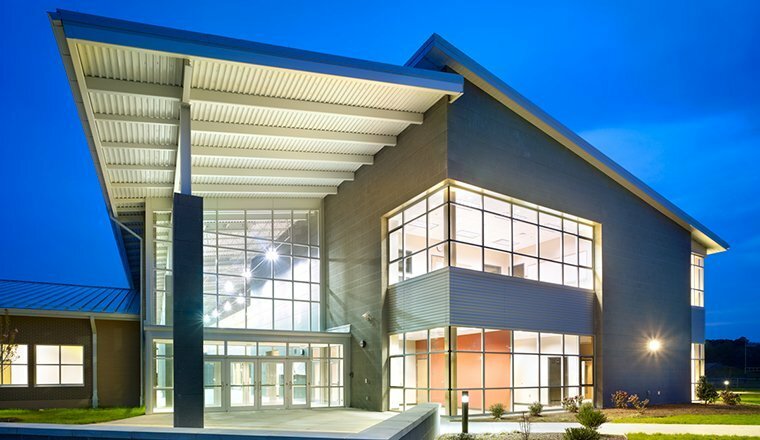 The school complex is also home to an athletics plaza linking the school building’s athletic wing and the new football stadium complex, reinforcing the role that athletics play in the school. The plaza also contains a separate field house with locker rooms and athletic support facilities. 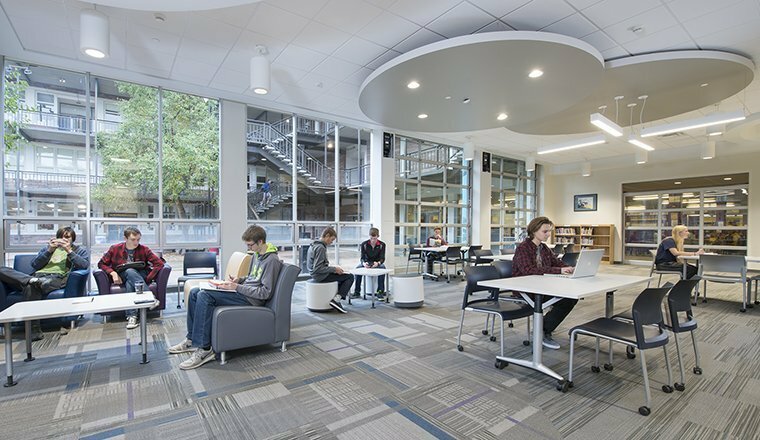 Hord Coplan Macht also served as the landscape architect and site planner for the new high school. Our team worked closely with the civil engineer to develop a site plan that utilizes water management best practices (ie-rain gardens, constructed wetlands, etc.). 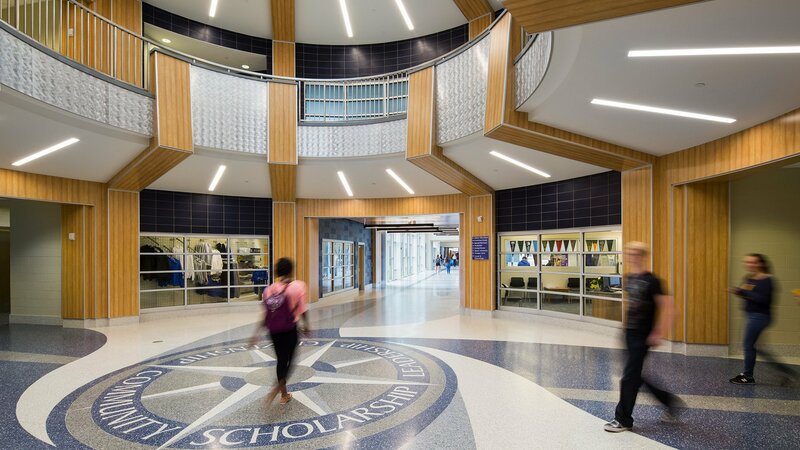 The footprint of the new high school building creates a large courtyard space that provides visual and physical connections to the overall site. 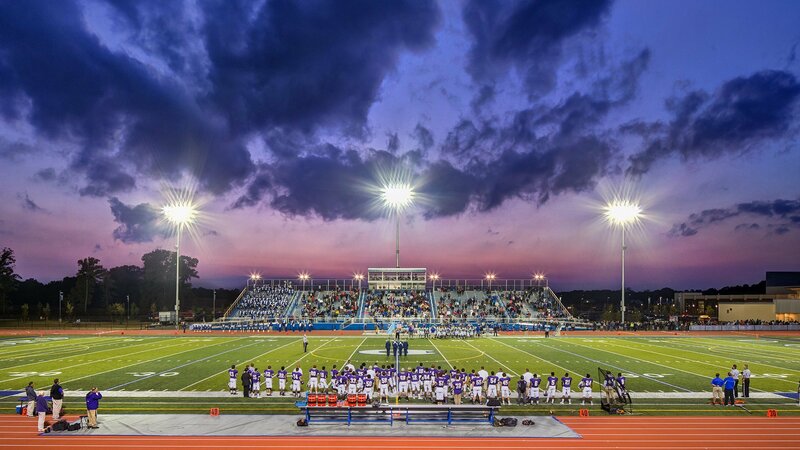 The new school also includes a new football stadium and track with seating for approximately 5,000 spectators, premier artificial turf fields for baseball, softball, lacrosse and soccer, as well as eight tennis courts. The site for the new complex posed several challenges because the program was so comprehensive. 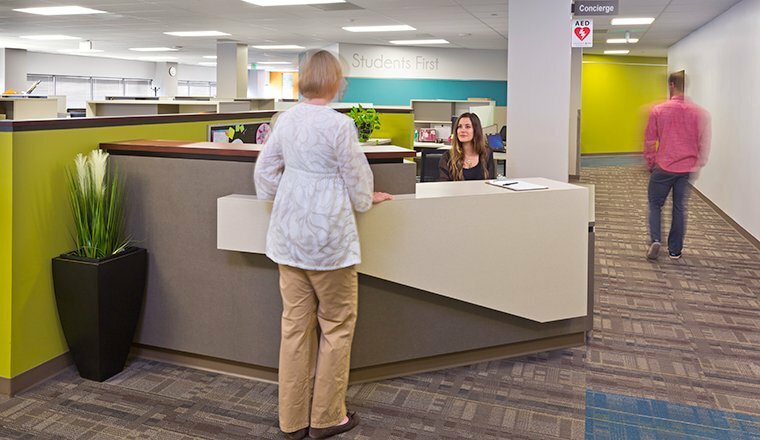 The building is carefully sited and designed to respond to the various site challenges and opportunities. 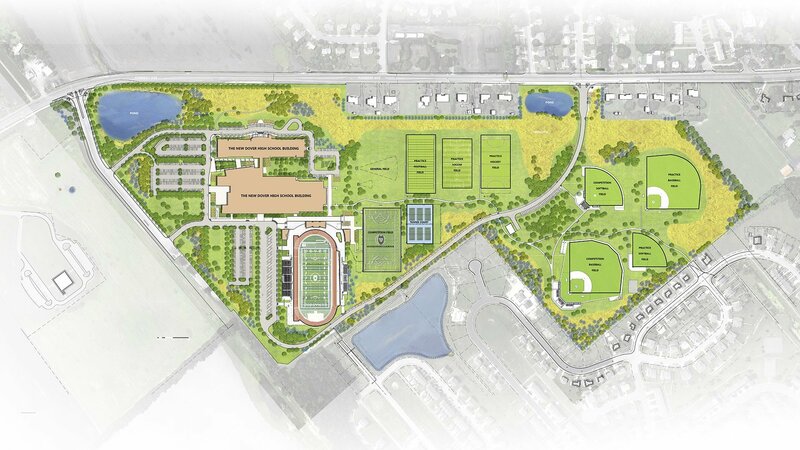 The design concept creates distinct components of the school, responding to the program and site features. The front portion contains a 3-story academic wing, with academy-based classroom arrangements. A major north-south corridor links this academic portion with the rest of the school. A large common dining space is located off of the main corridor. 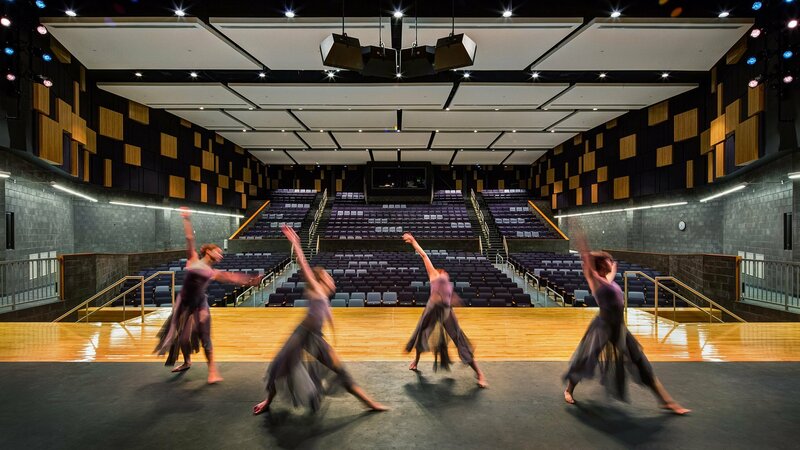 The arts functions are anchored by an 1,100 seat theater. 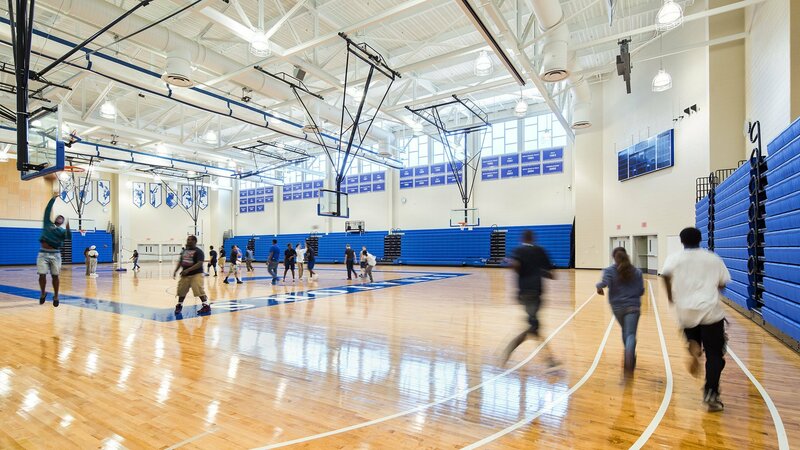 The indoor athletic facilities include a 2,500-seat multi-court performance gym, along with an auxiliary gym and support functions. 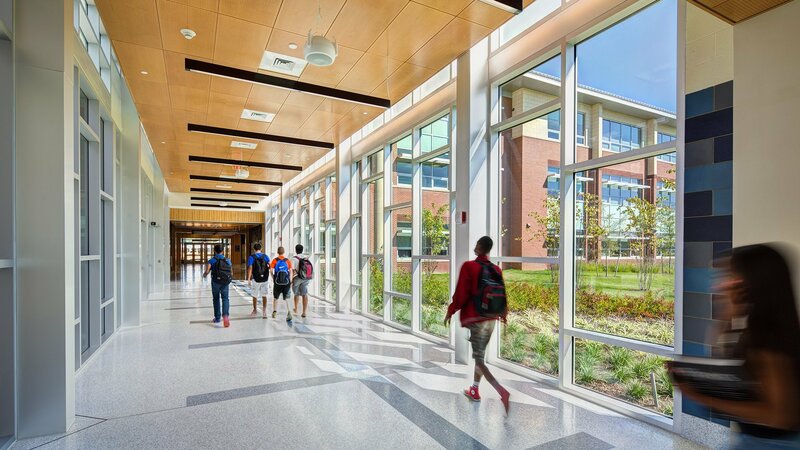 The design further maximizes day-lighting and views to the outside from inside the school. 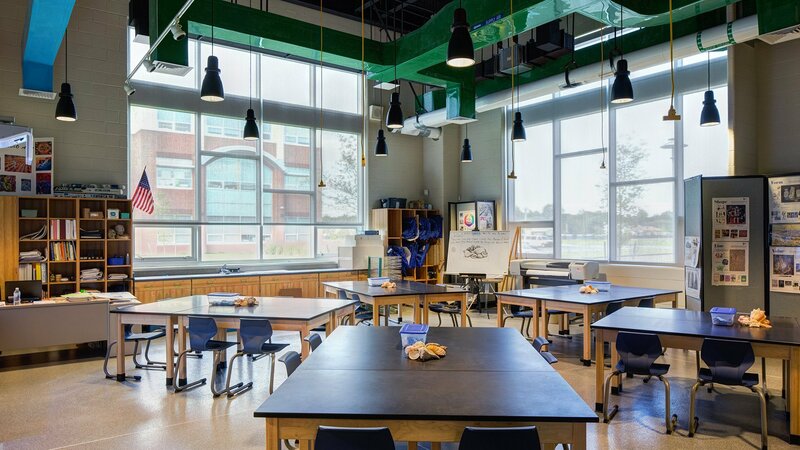 The footprint also allows for the creation of meaningful outdoor spaces that enhance the scholastic environment. 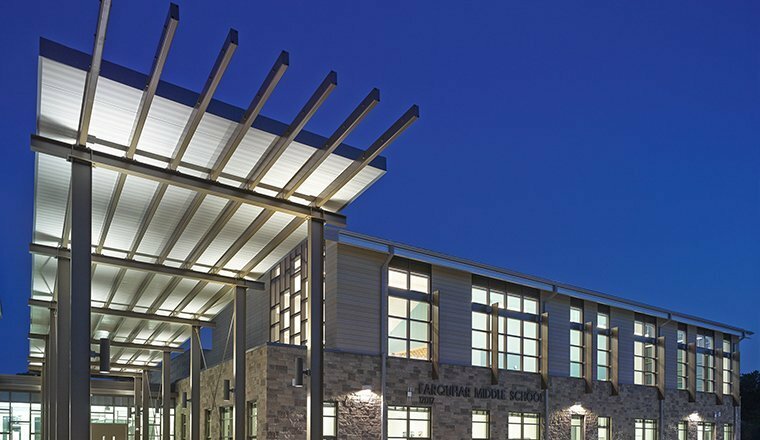 The project was designed to achieve LEED for Schools certification.